Vindicated is probably the best known song by Dashboard Confessional. It played over the end credits of the 2004 film Spider-Man 2. Group leader Chris Carrabba was born Apr. 10, 1975 in West Hartford, CT. At age 16, he moved with his mother to Boca Raton, FL. He started Dashboard Confessional as a side project while he was lead singer of Further Seems Forever. He wrote a few songs and a friend convinced him to record them. The first album The Swiss Army Romance was released in 2000 on Fiddler Records. Then Carrabba signed with Vagrant Records with Interscope distribution. He turned Dashboard Confessional into a band with John Lefler on lead guitar, Scott Schoenbeck on bass and Ben Homola on drums. They didn't have a hit single but their albums did well and they were a good live draw. The use of Vindicated in the 2004 film Spider-Man 2 got them exposed to a much larger audience. It reached #2 on the Alternative Rock chart. Carrabba wrote Vindicated after watching the film. A different song was going to be used but he wrote Vindicated to suit the film. The song does not appear on a Dashboard Confessional album. 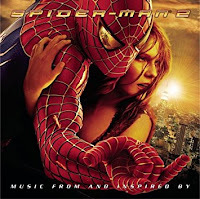 You can only get it on the Spider-Man 2 soundtrack. Danny Elfman's score for Spider-Man 2 is on a separate CD. There are no Dashboard Confessional comp CDs. Dashboard Confessional went on hiatus after the 2009 CD After The Ending. Carrabba's sister was in a serious car accident and she was in a coma for several months. Carabba released a CD of covers in 2011. He recently reformed Dashboard Confessional and they have a new record deal with Atlantic's Fueled By Ramen label and the CD Crooked Shadows will be released Feb. 2018. And I assume they will tour to support it. Here's the video for Vindicated by Dashboard Confessional.